my heart my heart i am missing you OPPA!!!. he looks so handsome, cute and happy. omg...he is wearing that black bracelet again, yeaaaaaaaaaaaaah!! 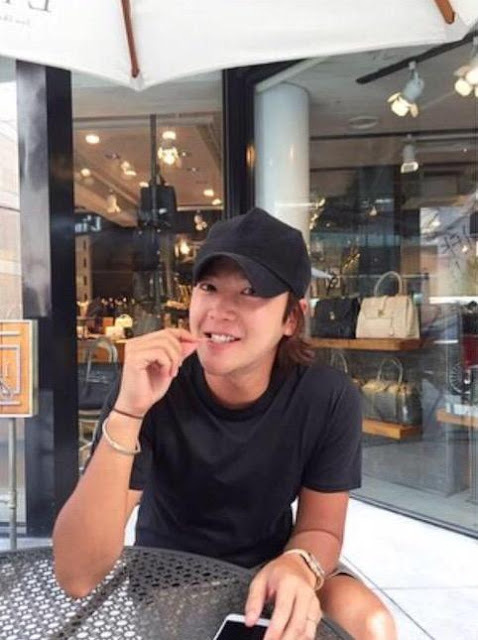 yesterdar our OPPA KEUN CHAN was visiting Linouis with his black bracelet, mmm i believe yoona's has a similar or same black bracelet too. :D lol. our Asia prince and Yoona were so perfect, talented and attractive couple, they had the best chemistry , so ..
85% of Koreans were jealous of yoonsuk couple. 80% of the celebrities were jealous of yoonsuk couple too. I do not know if someday they will be back together again, but if both are giving clues about their deep feelings (LOVE) for each other., I HOPE they can to have a new chance to get back together, because they really were very happy together. 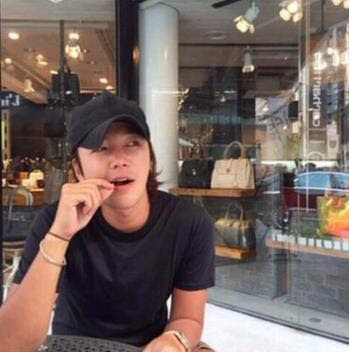 Our Asia prince JKS named YOONA as his female version. the "In My Dream" song lyrics: "My song which describes my happiness being with YOU" , that song was wrote thinking about her. Now she even bought and drives that red car (JKS's red car) of love rain. OOOOOOOOH. believe (?) he is using an engagement ring on his ring finger ??? 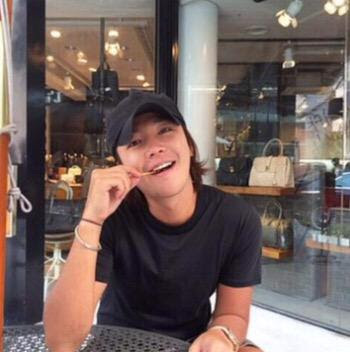 our Asia prince JKS's sun-drenched skin tell me that probably he went to the beach. he looks so HOT and handsome.